Our Two Chicks and A Pot catering team LOVES catering weddings and events at the beautiful Rockledge Gardens in Brevard County. One of the many reasons is that our offices and kitchens are right around the corner, less than five minutes away. How easy is that? Besides the proximity being a great thing, the gardens are awesome and the team there is great to work with. The beautiful “The Harry and Mary Witte Learning Center” area of the gardens is the perfect place for your upcoming wedding or event. The gardens were founded in 1960 and are still family owned and operated. 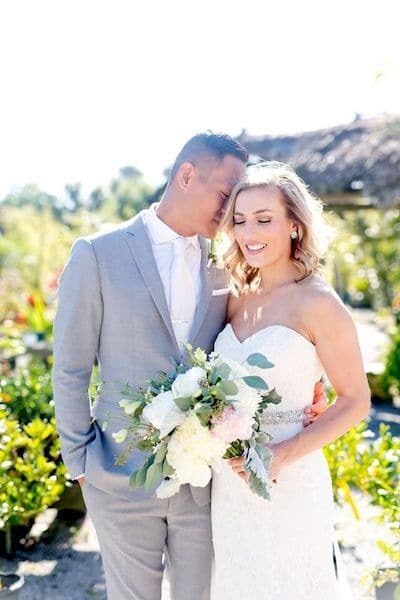 With four acres of lush gardens, tropical trees and shrubbery fill the gardens, the gardens offer a grass lawn and arbor for your wedding ceremony as well as a gazebo and covered pavilion. Rustic wood cocktail tables, outdoor kitchen market lights, and a fire pit are just some of the amenities the gardens have to offer. This is an awesome wedding and private event venue. Be sure to check out the Rockledge Gardens website for their rental packages. Their event rentals include a large selection of incredible items and optional upgrades they also offer weekday and weekend event options. On Sunday, January 27th Rockledge Gardens will be hosting A Magically Unreal Wedding Open House! You are cordially invited to the Unreal Wedding of Stephanie and Nevinthson together with the wedding vendors who want to show you their best. Our Two Chicks and A Pot catering team will be there too. This mock wedding will take place at 4 o’clock in the afternoon, with drinks, nibbles and dancing to follow. Come by and meet some of the best wedding pros in the region. Engaged couples can RSVP for their complimentary passes (for two) and register their guest at $10.00per person by visiting the Facebook event page. 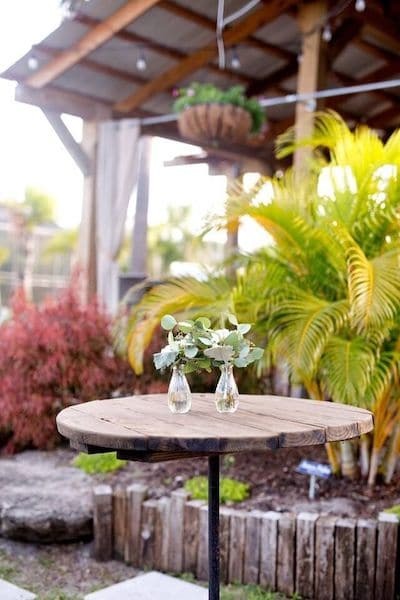 Our Two Chicks and A Pot catering team loves working with couples hosting their wedding at Rockledge Gardens and hope to see you at this or other upcoming events.